The ramblings that follow began as a long-winded reply, but grew so unwieldy and disorganized that I decided it fit better here 🙂 Spoilers may follow. These themes broadly translate as fear and anger (the Dark Side) being male and hope and love (The Light Side) as being balanced, but female-oriented (I almost used the word bias, in the statistical sense, but that word carries political connotations which would ruin my attempt here at a symbolic analysis). 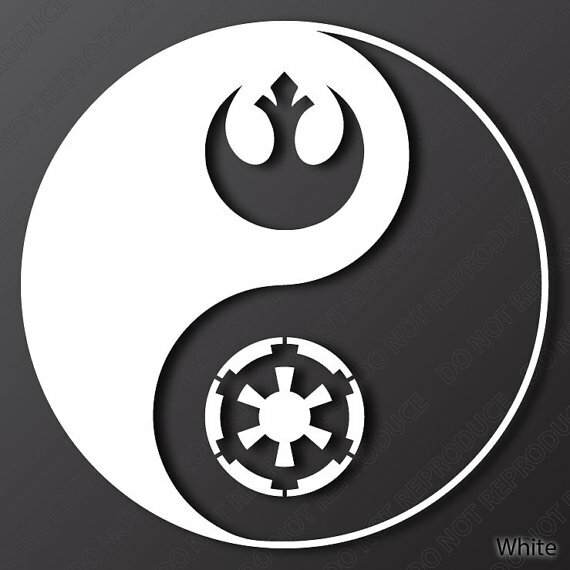 The Force seeks balance between the dark and light, ie between male and female, which means that the Rebellion/New Republic/Resistance have always been inherently closer to that balance (and notably, the Old Republic was not). Galactic politics being what they are, we haven’t see a true imbalance towards the female/light analogous to the male/dark side yet, though if you look at the Jedi Order’s philosophies in their prime you can get a sense of what it would be like if they wielded political power as rulers: a very structured society where the Jedi see themselves as “mother” doing what is best to protect their “children” with no real respect for agency, exactly as a mother attends to her baby. The difference between the Jedis’ philosophy and a paternalistic one is that paternalism demands respect and obedience, with the implicit assumption of rationality: you must obey because you must concede to the authority (and power). Maternalism on the other hand has an implicit assumption of irrationality: you don’t know any better so I am going to take care of you. The conversation Yoda has with Anakin in Episode 3 is a classic example. It is easy to see how the Jedi Order could transmute into a wholly different sort of tyranny than the Empire, if it were to rule. If anything, the purpose of Rogue One was to show that the Rebellion is truer to balance – a zone of gray – rather than purely light or dark. It showed a brutal and desperate side to the various rebel cells that had to have been there all along on the ground, obscured from view behind flowing white robes. But that is what balance is. The Rebellion has the convenient excuse of fighting against an implacable evil, but that doesn’t automatically make them scions of the Light – like the Jedi were – and they shouldn’t be, because if they had tried, they would have failed just like the Jedi did against the Dark. Good insight. To add, I concur to that the Force can be seen as more than just dark and light or good vs. evil. Star Wars mythology has shown us that the Force exists throughout entire Star Wars galaxy and goes beyond just Jedi and Sith. In the Clone Wars animated series you had the characters like the night sisters who tapped into the magical wielding elements of the dark side of the force but were neither good or evil. In the Rebels animated series we have the Bendu character who is a force sensitive individual who actually lies in between the dark side and the light side (in the “center of the force”). Lastly, even Rogue One has a character (Chirrut) who is not a force wielder but is a true believer of the Force and understands its cosmic power.